Sussex based home care provider, Caremark (Pulborough) has recently welcomed several new members to its care and support team, all the way from Portugal! Meet Marina Martins and Paula Vieira, two adventurous, caring women who are keen to be part of the UK care industry and learn about the caring profession in the UK. Both are very excited about this exciting step they have taken and look forward to the time when their families can join them here in the UK. Both women are part of the care team with Caremark (Pulborough), the company owned office of national care provider Caremark Ltd, who deliver bespoke care and support to people in their own homes. Having good quality, professional care at home means that individuals are able to stay living independently and safely at home rather than having to consider residential care. Although neither women have delivered professional home care before, their thorough training with Caremark (Pulborough) has equipped them well to provide care and support to their respective clients in the community. Marina previously worked in various roles before starting to look for a career overseas, principally due to the lack of opportunities for her in Portugal. 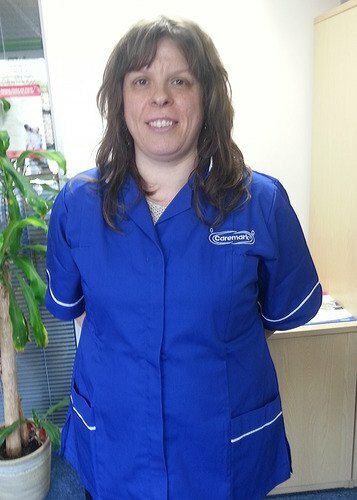 Since arriving at Caremark (Pulborough) Marina has taken to her new job like a duck to water and is really enjoying her work as a care worker; she really enjoys meeting lots of new people, both clients and colleagues. With eyes set firmly on her future, Marina is keen to advance her career with Caremark and learn as much as she can about Health & Social Care. Paula has previously worked in marketing and sales roles, but like Marina is keen to make a future for herself and her family in the UK, doing something worthwhile which she also enjoys. Paula is also loving her new role and keen to take on new challenges. Amit Pandit, Business Development Manager with Caremark (Pulborough) commented: "It's been great having them on board as they have really fitted in well into the Horsham team and have shown a real dedication to Caremark." He added: "Marina has really been very supportive to her fellow colleague Paula which is great as this has helped her settle in and find her feet." Outside of work Marina enjoys motorbikes and the outdoor life whilst Paula loves going to the gym and enjoying a good book - great ways to relax after a busy day's caring!